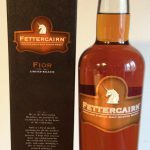 This is the second part of our series, where we explore three Malts from different Regions. 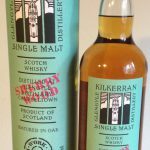 Kilkerran “WIP 7”, Original Bottling, 46% vol. 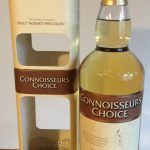 Big Sherry nose with a hint of old wood cask. This is starting good. Love this straight-forwardness. A handful of raisins and dried figs. Orange marmalade and some Grandmas toffee. Behind all that is a whisp of smoke woven in, beautiful. The arrival is sweet and some good oak is there as well. I like this mouthfeel, kind of like melting a piece of milk chocolate in your mouth (a Swiss one). Good solid composition, not complex but well done. When I add water I get some dried Grass, a smoking fire in the distance and some candied fruit. Remember the smell of sitting in an old leather chair? …Yes, thats it. It’s in there! The water has unbalaced the taste, still nice but less intergrated. Sweet and a little oak is present. The finish is medium, staying sweet with a nice aftertaste of dunnage warehouse, just lovely! Can’t wait to try the first standard bottle.